Winston Churchill was famously ignored by his mother and father during his childhood, although perhaps no more so than any other aristocratic parents ignored their children in the Victorian age. They would diligently rush to his side on the occasions when he fell terribly ill, but neither parent spent nearly any time with their son and they seemed particularly disinterested in him. Lord Randolph rarely saw Winston and, perhaps attributed to the effects of his fatal illness, subjected him by letter to cruel rebukes and smashing broadsides. Lady Randolph was bored by both by Winston and his brother Jack and did not bother much to see them, as Andrew Roberts notes she saw her sons a mere 13 times in the first seven months of 1882 (for comparison, she had tea with her friend Lady Blanche Hozier 26 times in that span). Parental affection and attention was delegated to the boys’ nanny, Mrs. Everest, and somewhat to their grandmother, the Duchess of Marlborough. 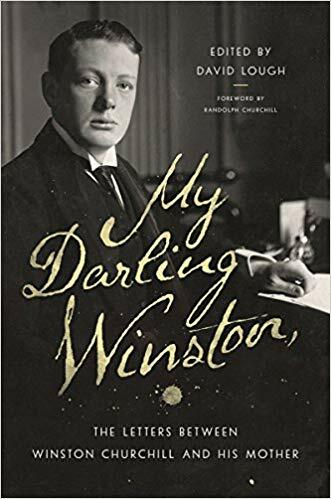 Despite their lack of attention, Churchill always idolized his father and worshipped his mother, writing that she “shone for me like the Evening Star. I loved her dearly – but at a distance.” Only when her sons became young men did Lady Randolph finally find them interesting and worthy of attention.